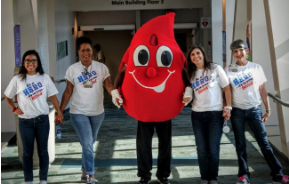 MD Anderson cancer patients require approximately 200 units of red blood cells and 600 units of platelets every day, which is why donors are the most important part of the process! Giving blood and platelets provides hope for cancer patients who depend on the support of their family and friends and on the generosity of donors just like you. Be a hero – Donate blood to their blood bank and save lives!